To work successfully, a master developer needs access to a significant amount of public land and/or vacant properties. Unlike in New Rochelle, loss of Port Chester’s parking lots, the only vacant municipally owned properties, even temporarily during construction, would cause an even greater parking problem than already exists in the downtown. 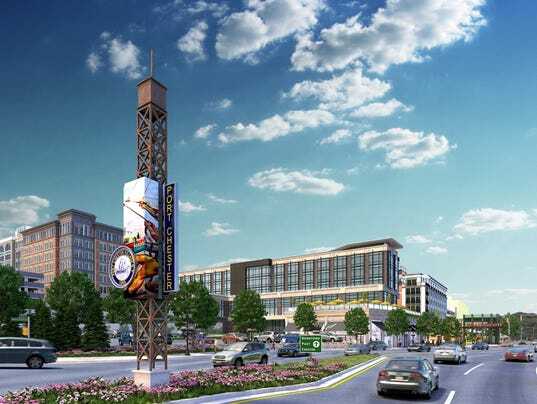 In 2014, New Rochelle chose RDRXR, a partnership of RXR Realty and Renaissance Downtowns, as its master developer to control the development of all the publicly owned parking lots in the downtown. In 2015, RDRXR wrote, and the city council approved, plans to rezone the core of the city’s downtown to allow for more than 11 million square feet of development, including up to 5,500 residential units. This has sparked development in the downtown and there are a number of construction projects underway, with more on the way. However, community concerns about the city and RDRXR’s commitment to the equitable distribution of the benefits of redevelopment have not gone away. If anything, they have intensified with the rapid pace of change. They include: Job standards that ensure safe worksites and family supporting jobs in construction and property maintenance, more affordable housing with deeper affordability, local hire for construction jobs with a career path for youth, anti-displacement measures to protect current residents, resources for education and youth programming, a sustainable environment, and more. Port Chester officials would be well advised to better address such community concerns about equity up front as they consider a master developer. Standing up for their constituents will better ensure the long-term success of any redevelopment in the village.